Link to the SPELL BOOK download is FINALLY fixed! Oldest's Harry Potter party required of course some actual school books. I got the idea for the spell book originally from A Lemon Squeezy Home. 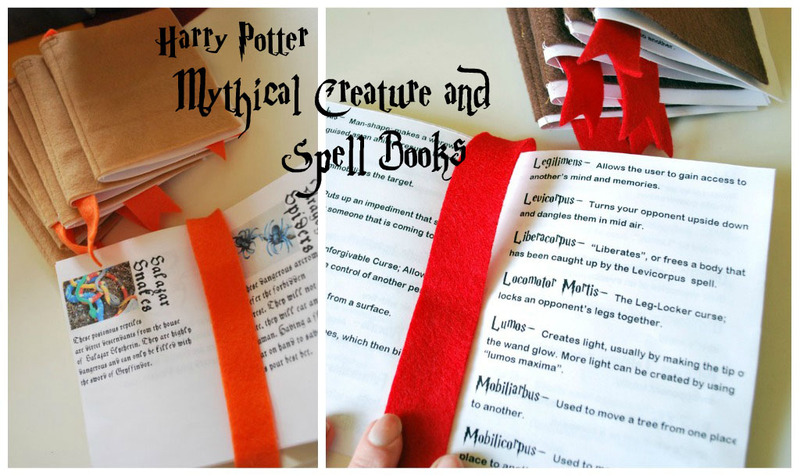 I loved the idea of making a book of spells. The spell pages were formatted to go into a simple photo book. I did not want to spend that much per party guest so I thought up a way to make them look like leather bound books. I also decided to add in a Mythical Creature Book...which yes I now realize should have been Magical Creatures, but by the time my mistake was brought to my attention the suckers were already all printed out and assembled. The kids didn't even notice, so whew! 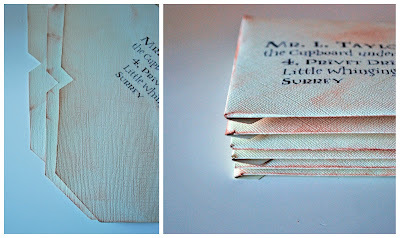 I made this book to go with a Creature hunt. We used our books to review all the creatures and then they had to go around the house and "catch" them. If they were dangerous the kids had to cast a spell yelling "Stupify" in order safely gather them. So when all was said and done each guest had two different school books to use while at Hogwarts. I did a quick little how-to on how I assembled these guys. First cut out felt pieces. I chose different colors for each different book. Then cut out book ribbons. Print off pages for both books and make sure they are in the right order. Place the ribbon on the inside of the felt. Make sure they will be hidden by the pages. Remove pages and then sew in the ribbon. This is how it will look on the inside. This is how it will look on the outside. Next place the pages back over the ribbon and sew the pages to the felt "binding" of the "book". 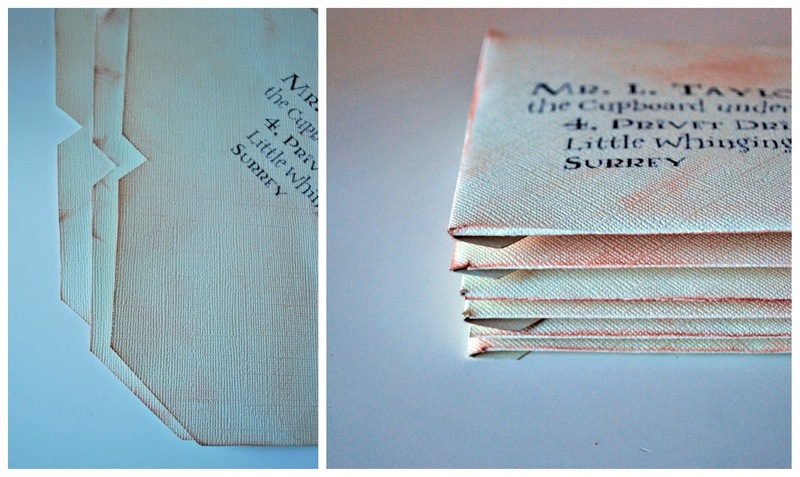 The pages will be secure. Place the ribbon in the book. Fold the books in half and press closed so they they stay closed. Then you have all of your school books. Have wand and you are ready to open your spell book and cast some spells. The favorite spell around here was "Stupify" and "Bombardo". The Mythical Creature Book helped prepare the guests to go on a Creature hunt. Once they reviewed their book they were able to gather all the creatures. The books were one of the highlights of the party. 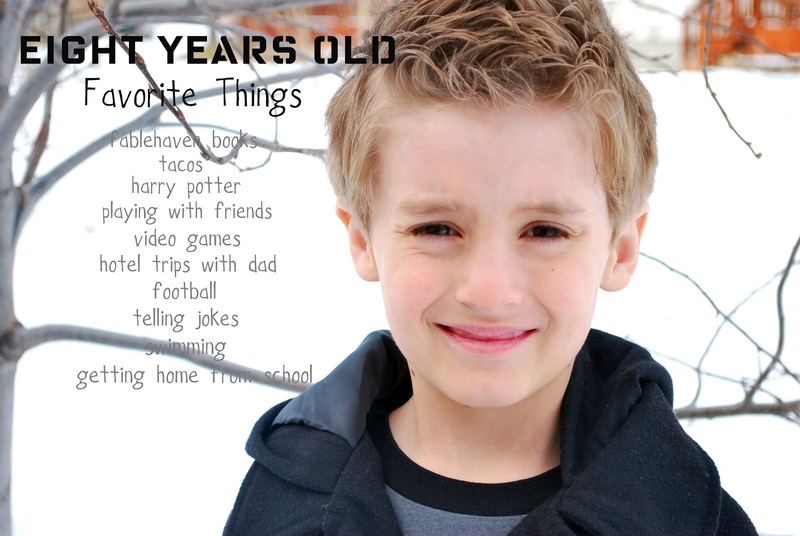 My boys still have theirs and for days after the party Middle was "blowing up" everything by yelling, "Bombardo". It was a fun project with great results! Head over to Somewhat Simple today and check out this yummy recipe for Old-fashioned Homemade donuts with a twist. They are made with Blueberry Greek Yogurt. Yum!!! Also come on back today and check out another Harry Potter Party post. Today kicks off all things Harry Potter. of my Party Styling Contributor. I love a good party. Okay I am obsessed with good parties. The next party in our house...you guessed it a Harry Potter party. A party perfect for any Witch or Wizard. Before any party though has to come a fun party invite! Today I am sharing with you a how-to on making this Harry Potter party invite. First you need to print off the names of your guest on the off-white cardstock. This will take some adjusting, finagling, some chocolate (for your patience), and some trial and error...so do some test runs on regular paper. 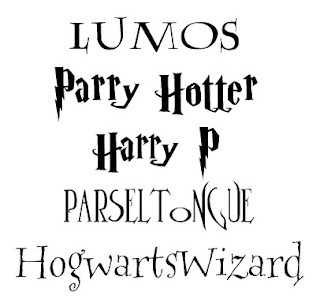 I addressed mine like Harry's letter to go to Hogwarts but I changed it to use each guests' name (see below). Then you will print your invitations, 2 per page in landscape. Be creative on the wording...I tried to sound as Hogwarts official as I could. Another way too look official is to make sure to use Harry Potter fonts. 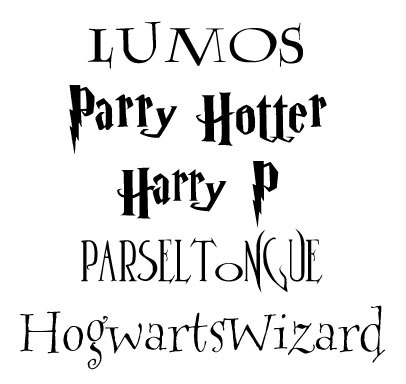 These are the fonts I used and/or am using at the party. After everything is printed out, it is time to cut out the envelope. Use the template. Make sure the envelope template is facing the right way to ensure the name will be the facing the right way on the back. My template was actually upside down. Set the template over the name, aligning it in the center box. Trace around the outside. Then cut out. Next, go crazy with the ink. Make it look old and all antique. 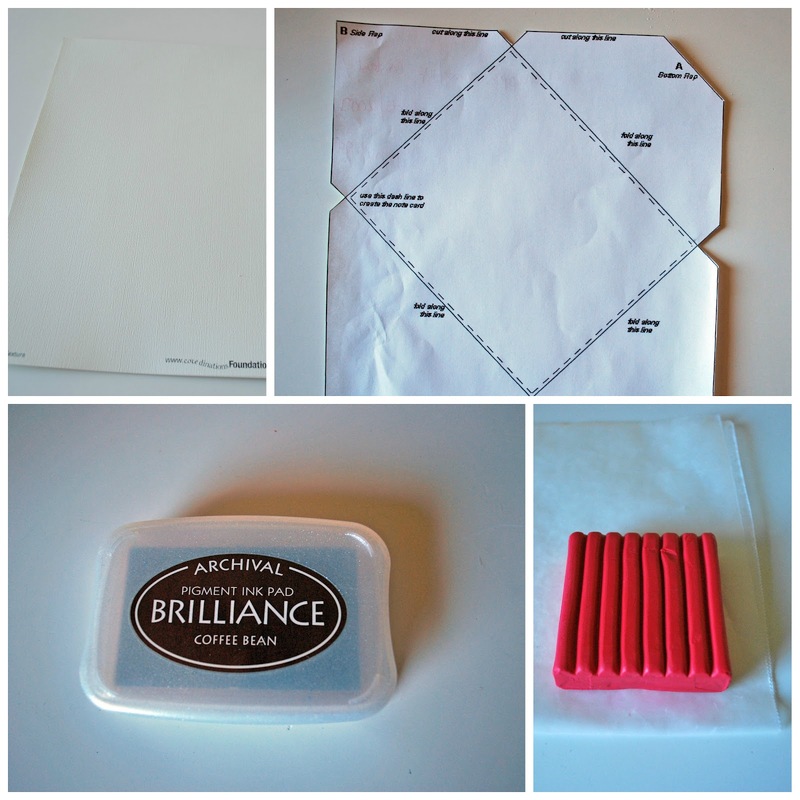 When you are done, fold the envelope according to the directions on the template. Almost done! Cut the invitations. Fold in half and make sure they fit inside the envelope. Place the invite inside the envelope. 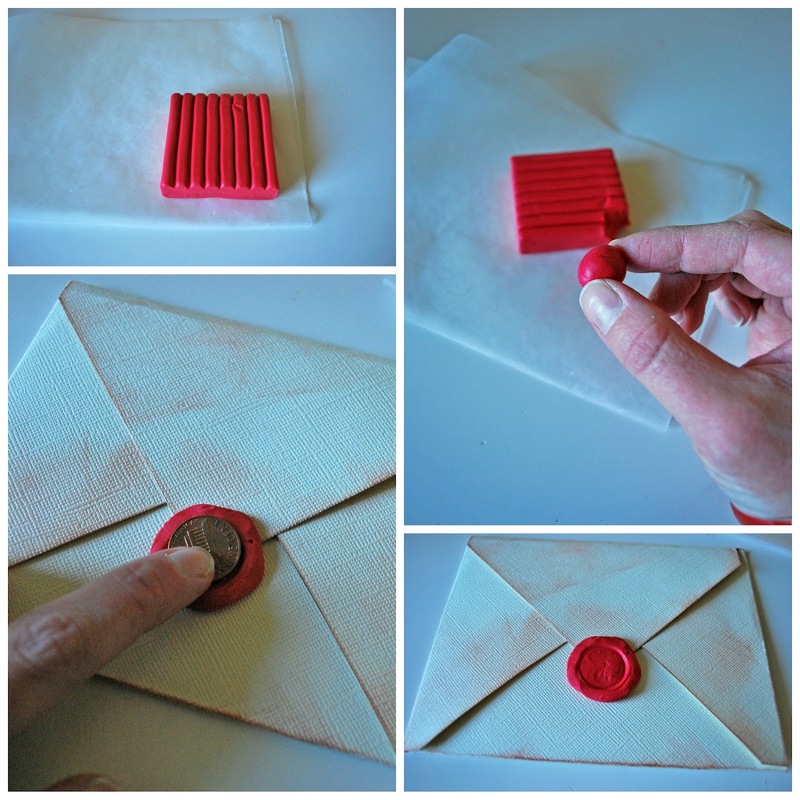 Now it is time to make your fake wax seal. Take your red clay, break off a tiny bit and roll into a ball. Then smoosh...yes that is an official crafting term...the clay onto the point on the top flap of the envelope. Make is look like a melted circle. 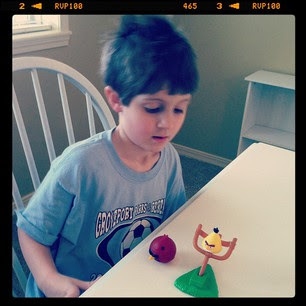 Then take a coin, any coin, and press it in the middle of the clay circle. This will help it look like a seal. If you press hard enough, the clay should hold in place. However, if you find the clay seal lifting, you can hot glue it in place. 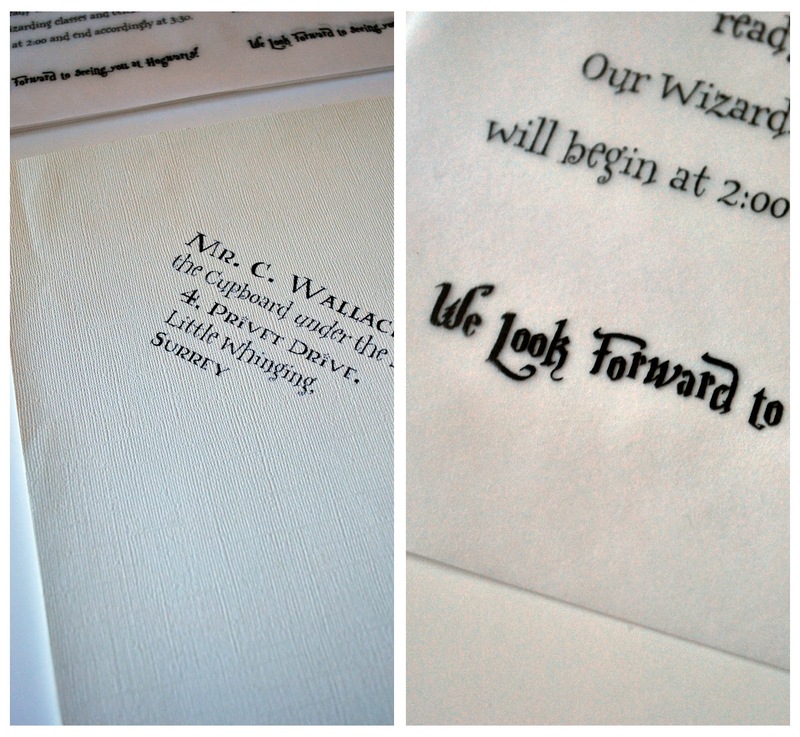 Now you have all of your official looking Harry Potter invitations. Any Witch or Wizard would be thrilled to see his/her name on the invitation. In true Potter fashion, of course the invitation will be delivered by OWL. 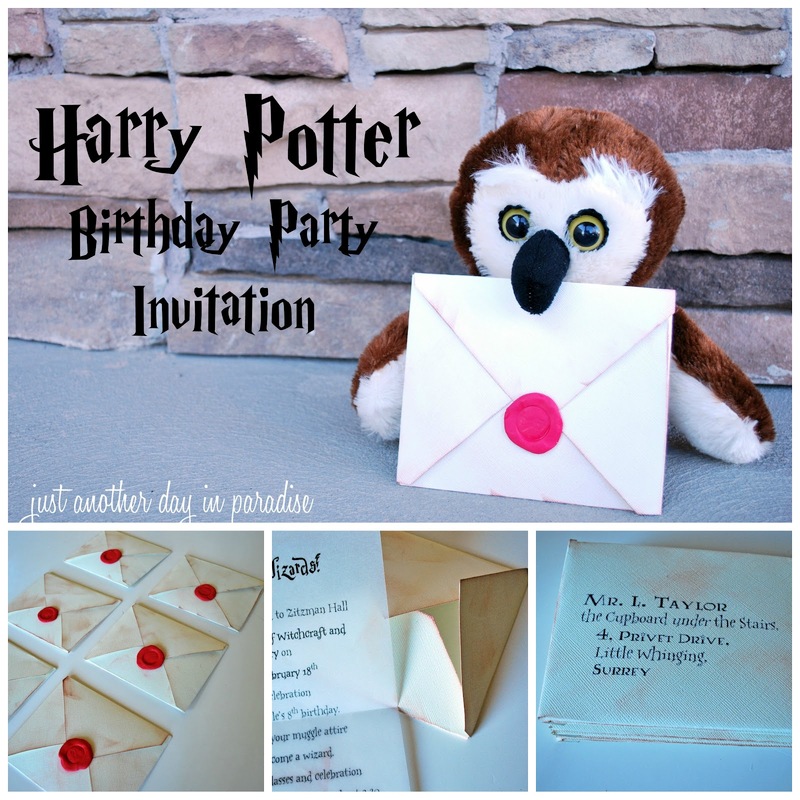 If you have a Harry Potter fan in your family and are planning any kind of Harry Potter party, these invites will be a sure hit! I can't wait to share with you the whole wizarding celebration! See ya tomorrow for more Harry Potter Party fun! 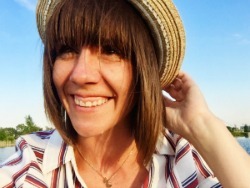 I have such good intentions of showing my face around this blog more...however getting my to-do list taken care of is sucking up my time. SO this week has been ruled by my lists. Hahaha the TO-DO LIST. Man do I love a good list. I almost always have one running, but now you add to it nesting, getting a still new house ready, and a couple of big events coming up in our lives and well that list is pages long. It always makes me feel better to write all of the things down. For one then I won't forget, but most importantly then I can CROSS off the items as I go and I feel at least a little accomplished. Then of course when something comes up "to-do" that is not on the list, well you better believe I just add that puppy right to the bottom of the list and then promptly cross it off! However, these lists are a little overwhelming and in all honesty not every item is going to get done and I know that. This week was spent crossing off a lot of "to-do's". One of the big things was changing out clothes and organizing closets. I washed Bean's clothes. I transferred Littlest's (yes I am realizing my nicknames are going to have to change quickly...still trying to figure out what Littlest's new one is going to be) clothes to the new closet he will share with Middle. Once his stuff was all organized in the new room, I tackled Bean's room. How is is possible to forget how teeny tiny newborn clothes are?!? I also might have giggled excitedly when I held up a newborn diaper. Sigh. They are so adorably tiny. We also got the guest bedroom completely done. We only have to hang up posters in Oldest's room and then that room will be done too. I am to hoping to share those with you soon. Baby's room is next...but I am quite a ways behind and well there are always road blocks. Like having to permanently attach a box of Kleenex to yourself. For either the purpose of blowing your own nose or wiping the snot-covered face of any of your three children. Hopefully all of our illnesses will disappear soon. Hopefully the majority of my list items will disappear soon (and I am not referring to someone coming over and stealing my lists...so don't even think about it). Hopefully this will all occur before Bean's arrival...which people, is no more than about 3 1/2 weeks. Booyah! The star of the week is Oldest. My every waking moment was spent on planning and finishing his party. Hence the only proof I have of the week is in Instagrams. His special day was Friday. He chose waffles for breakfast. 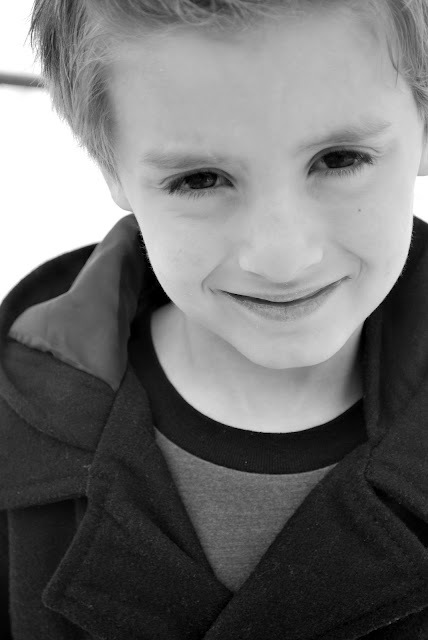 He was ecstatic to get to buy hot lunch at school. I brought cookies into the classroom where I had trouble spotting him because he was sporting a super sweet paper visor hiding his birthday boy face. For dinner of course, TACOS. Then was present time. We were expecting some youthful excitement, instead we got a lot of preteen "ehhh". We got a lot of giggles out of his "I am over it" attitude. Yesterday was his party and it was probably the most successful party we have had. Oldest declared it was the best party he has had. The other guests seemed to be thrilled with all of the Harry Potter stuff too. This is Oldest's last BIG party, so I was happy to feel we went out in a bang. It made my day to hear all the spell casting going on while they "flew" around on their brooms. We had one guest not able to make it, so Middle got his own broom, wand, vest, and spell books too. He was thrilled. 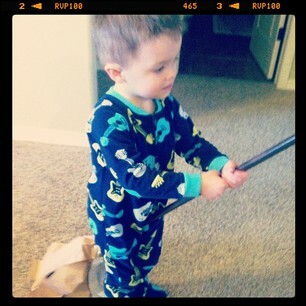 The brooms have raced around our house almost non-stop waking time for the last day. As I type, they are preparing to play "Harry Potter". Oldest was pretty lucky and got some fun presents. Many which have already graced our Sunday morning activities. 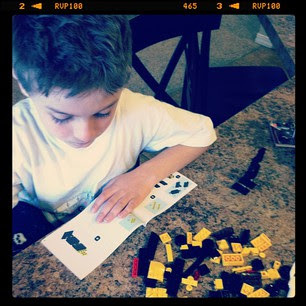 Nothing like Lego time and of course some Angry Birds. Hope you all had a great week. Here is to a less busy and chaotic week around here...fingers crossed anyway. 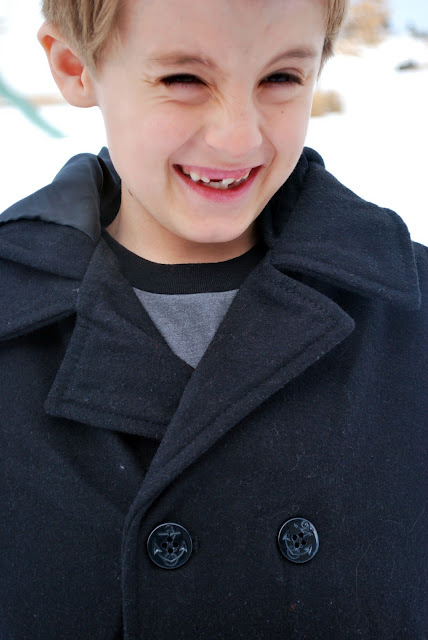 I am now a mom to an eight-year-old. Today will be spent celebrating him. We will have some family time. There will be some birthday boy specific meals. Bowling might also be in the evening's plans. Then tomorrow we spend the afternoon celebrating Harry Potter style thanks to his love of the Harry Potter books. 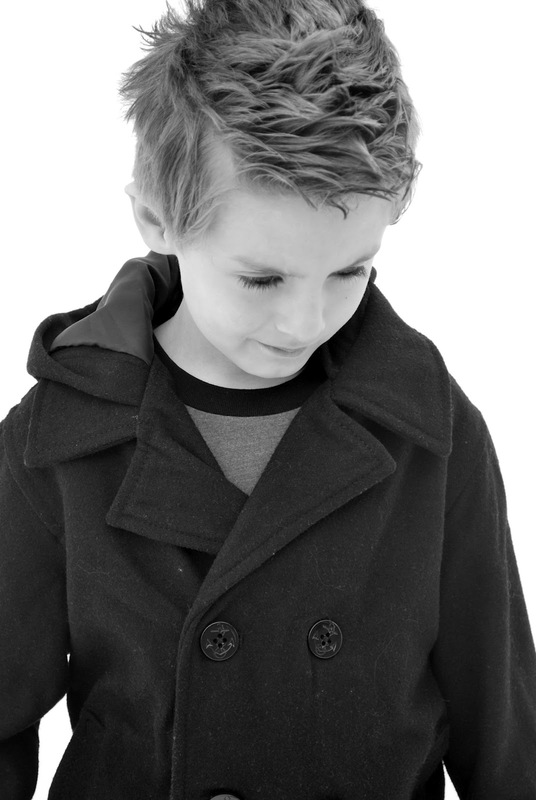 So today we wish a Happy Birthday to our always smarter than his age, oh-so-wise, sometimes too mature, occasionally over-dramatic, sensitive, handsome not-so-little Little Man. We sure love him lots! Sorry for the absence this week. This Harry Potter party is all I have been up to this week. I wake up early, use all my it's-a-brand-new-day energy to bust out some party projects. I never accomplish as many as I have planned. Booo! Then I spend the rest of the day making it up to this ginormous little Bean in my belly. The party is Saturday so I am running out of time. I just put a serene smile on my face while screaming like a lune inside and convince myself that what gets done will get done and what doesn't...well that is just fine and dandy! 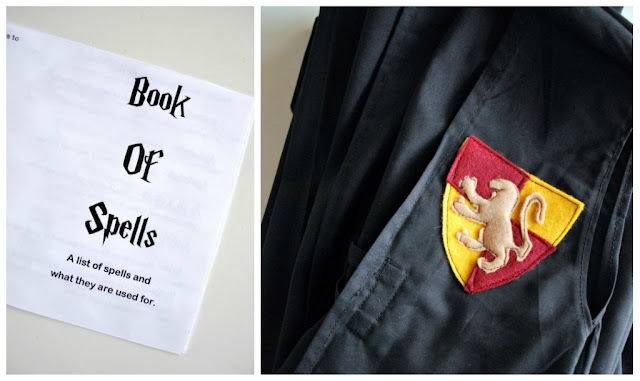 Next week I hope to have some Harry Potter Party tutorials for you, including my interpretation of the Spell Book which idea I originally found HERE. Hubby surprised me with flowers this week. In fact, he made a special stop at Costco which is not close to us and he was on a time crunch. Sigh...lovely, right? Flowers the week before Valentine's Day? Well that is what happens when you have a super thoughtful Hubby who recognizes that you had a miserable pregnancy week. I am about five weeks away, and last week was rough. We laugh that for being a surprise this pregnancy really has been the most difficult physically and emotionally. However, I am still pretty blessed and I try to remember that while I am frustrated with my physical limitations. I am grateful for a loving Hubby who brought me flowers in a hard week. You know what else I am grateful for...how much easier my life is right now because of my sister Natalie. My sister just recently moved to town and has a little bit of extra time right now. Guess where she chooses to spend it? Yup, my house. Guess what she chooses to do? Yup, help this giant pregnant woman entertain her Little Men. Temporarily it is kind of like having my own free Nanny. 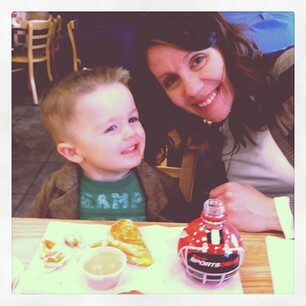 A Nanny that my kids love and that loves my kids. I mean, it totally says love that she would bring over her own arsenal of make-up and then let them go to town on her face. They did a great job, right??? Hahaha! During the week when Hubby is at work, it has been blessing to have her around. I wouldn't get nearly as much done or have what little energy I do have right now without her. Thanks to her we were able to spend a little individual time with Littlest this weekend. Individual time makes me HAPPY. 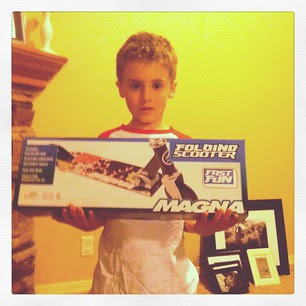 I know it makes our Little Men HAPPY. Earlier this week Hubby got to take the oldest two to a basketball game and I know they treasured that time. They came home so HAPPY. Going to to a store and lunch with Littlest this weekend was such a treat for Hubby, me, and Littlest. Yeah individual time is awesome. My goal in the time between now and when Bean comes is to try and schedule more individual time with our boys. I know it is good for us and them as well. HAPPINESS this month is a family goal. Spend more Individual time together.